Hand built corn on the cob miters by Chicago framebuilder Jesse Hautau. We will be closed Monday, May 27th 2013 in observation of Memorial Day. 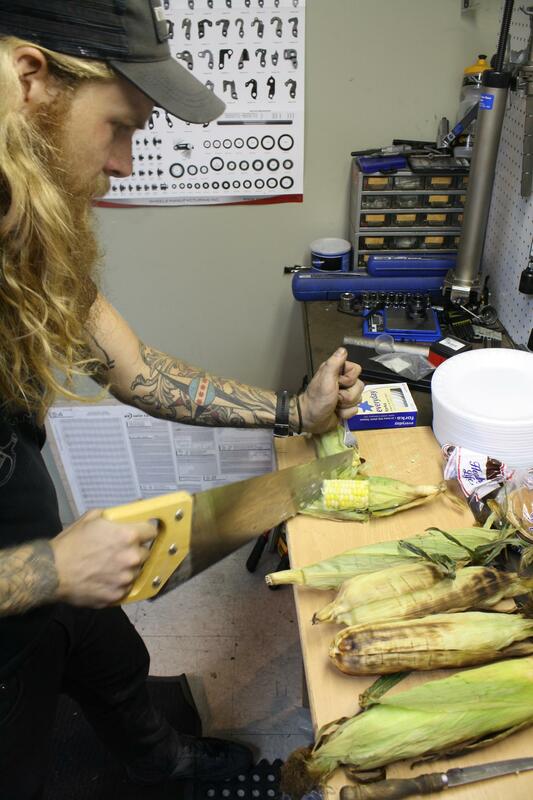 Who knows what we’ll do: cut some corn with a hand saw? Perhaps. Ride our bikes together? Perhaps. We will definitely be getting some much needed rest and relaxation. This entry was posted in Quality of life and tagged bike shop chicago, corn on the cob, framebuilder, jig, miters, skills, ukrainian village, worker-owned bike shop by admin. Bookmark the permalink.